With news of the data of various internet giants being breached, being secured online is more important than ever. Safeguarding yourself from people who might maliciously track your activities on the internet is of paramount importance. 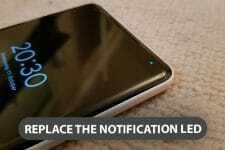 The best way to do this is by using a virtual private network or VPN whenever you’re browsing the net. When it comes to VPN’s there’s a wide selection to choose from. There are free as well as paid services but the free ones almost always aren’t as good as the paid ones. 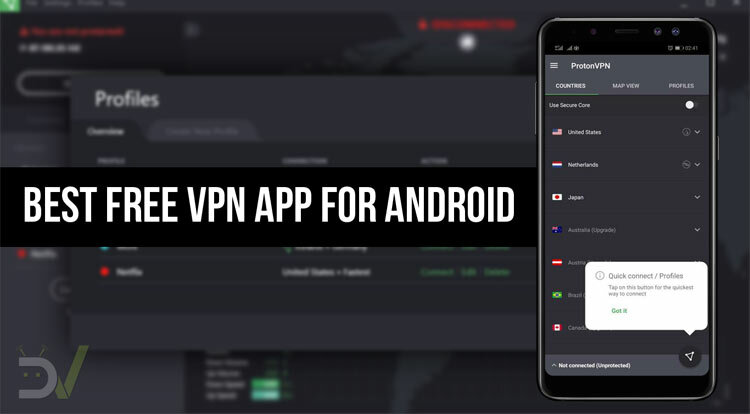 If you have been looking for a great VPN app, ProtonVPN is probably the best free VPN app available for Android. The exception to this norm is ProtonVPN. ProtonVPN is a virtual private network service provider operated by the Swiss company ProtonVPN AG. The company is a beneficiary of Proton Technologies AG, the company behind the email service ProtonMail. ProtonVPN aims to offer a secure browsing experience to all its users without any paid subscription. To use it, you need to make a new account and select from 3 different plans- 1 of them free and the other 2 premiums with varying feature sets. It offers a very intuitive user interface and is very simple to operate. 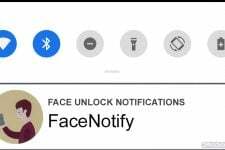 For people who don’t know much about technology, the press of a button can instantly secure their connection thanks to instant connect functionality. For people looking for more control, there’s an option to choose the exit country, however, the selection is limited to just the US, Japan, and the Netherlands for the free version. If you choose to subscribe to any of the paid plans, you get access to a lot of countries. Apart from the list, you can also select countries using a map of the Earth which displays the available servers. This VPN also has something called Secure Core. What it basically does is protect your connection from potential VPN monitoring. It, however, is a premium feature. The ProtonVPN app also allows you to create profiles for different use cases. Within this, you can customize the country, the server and whether you want to use Secure Core or not. Features like split tunneling make it easy to separate apps which you want to use via the VPN and those which you don’t. You can also set the VPN to start every time you reboot your device. Apart from the gazillion reasons why you should use a VPN, the main reason why you should care about ProtonVPN is that it doesn’t cost you anything but provides you the same level of security as other premium services and that there is no data cap. That means you can use this VPN without worrying about exceeding any kind of data limit.